Filmi Girl! 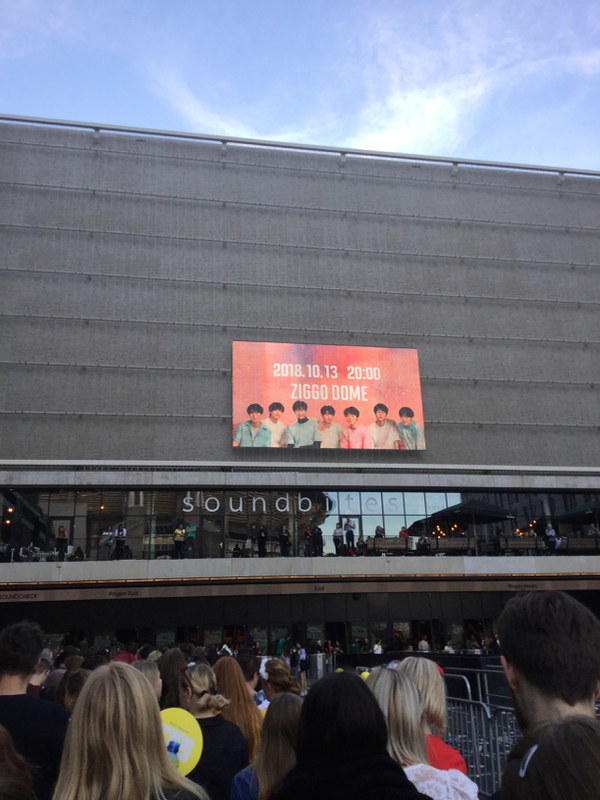 : BTS Love Yourself Tour: Amsterdam, Netherlands, October 13, 2018. BTS Love Yourself Tour: Amsterdam, Netherlands, October 13, 2018. BTS left America after the overwhelming hysteria of their final concert dates in the major media market of New York City topped with the Citifield show in front of 40,000 and then touched down in London only to find that the hysteria had followed them, much to the bafflement of the Europe. I followed the hysteria on Twitter and Facebook with a sinking heart as I prepared to leave for Amsterdam myself. Two of their most passionate dancers--Jungkook and Jimin--injured themselves almost immediately upon setting foot in the UK and the voyeuristic photos and videos of Jungkook’s pain and distress during the London shows whipped around the BTS fandom like a brush fire. Jimin sat out of at least one performance schedule entirely, for which I am thankful. Meanwhile the hashtags and Facebook groups exploded with bickering. There was the mess made over the fan project where the organizers claimed that the messages from Big Hit had gone into their spam folders and that’s why there would be nothing done for Jimin’s birthday. There was the fight over ARMY camping out in front of the venues despite explicitly being told not to by the event staff culminating in a mini-stampede at 5 in the morning on the day of the show when word spread that the unofficial numbering system they’d been using wouldn’t be honored. Police and an ambulance were called in to deal with the injured. 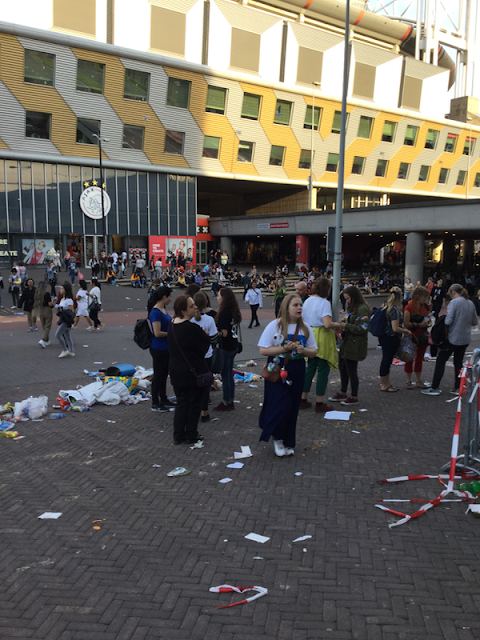 “We don’t come to concerts to make friends,” said one of the Amsterdam campers. That’s not exactly the message that BTS puts across in their music and it put a huge cloud over everything. 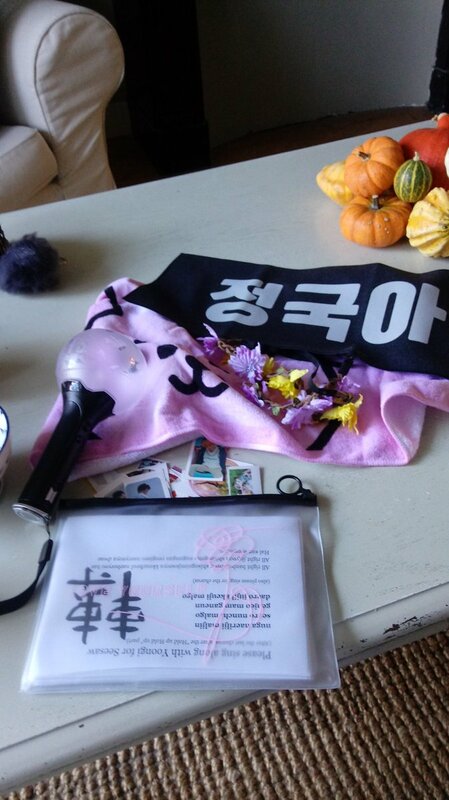 In the shows I attended in Seoul and Hamilton, women had passed around stickers and treats and had communed over our love of BTS. I spoke in Japanese, English, and broken Korean to BTS fans from all over the world. In Amsterdam, there was a cultural gap I couldn’t cross. The gap between idol fan and pop music fan. On October 13, 2018, the same day that I saw BTS perform at the Ziggo Dome in Amsterdam, H.O.T. reunited for their first concert in 17 years at Seoul Olympic Stadium. I’d been following along with H.O.T. on Instagram and the atmosphere seemed magical. 40,000 fans filling the stadium with their love and their voices for the idols they’d never forgotten. H.O.T. themselves seemed overwhelmed with the emotion of it all, five men who must have felt like the world had forgotten about them. But a true idol fan never forgets. The love may lie dormant for a year--or 17--but all it takes is a spark to reignite the flame. And then out come the white balloons and the fan chants. H.O.T. had an idol concert for an idol audience. BTS had an idol concert for a boy band audience. There were also the stone cold silences during sing along parts and the lack of response from the crowd to moments that should have generated big cheers like Jungkook making a big return with the shoot dance during “So What”. I lost my mind as he hopped down the walkway on one foot--keeping his injured foot elevated--but the wave of cheers I expected, the cheers I heard in Hamilton, weren’t there. And there there was the lack of Army Bombs in the audience. Neither of the women to either side of me had one and looking around before the concert started I’d say maybe half the crowd had an Army Bomb and was using it. When Taehyung said “I purple you” during the ending ment and all the Army Bombs in the venue turned purple, it should have been magical but the moment passed almost unnoticed. I say this not to drag Amsterdam--since there were an overwhelming number of non-Dutch people in attendance, myself included--but because I wasn’t expecting it. Maybe I should have. As BTS has boomed in popularity in markets that are not traditional K-Pop idol group markets, inevitably there will be fans who don’t know that there is a difference between how to act at a K-Pop concert and how to act at a normal boy band or pop music concert. That the light stick isn’t just an expensive souvenir but an integral part of creating atmosphere. That you don’t buy a ticket to sit back and enjoy the performance but to participate in it. That we are building a moment with the other fans, building a moment with the group, a moment in time that is bigger than each of us individually, that we can carry in our memories as one night we shared something special. There is nothing wrong with attending a pop concert or sitting back and watching a pop concert. I just don’t particularly feel the need to travel halfway around the world to do it. Not like an idol concert. Again, I’m not saying this to drag Amsterdam or BTS, who put on a great show. There may not have been the warmth and connection with the crowd of other idol shows I’ve been to but BTS are nothing if not professional entertainers and they rolled with the atmosphere, having fun on stage despite the awkward silences. Jimin had recovered from his muscle strain enough to return to dancing--even if he had to modify his choreography to avoid all the floor moves. And Jungkook, my dear Jungkook, looked smiley and happy despite his injured foot. He sat for the group choreography but he had clearly figured out how to modify the moves so he could join in on his chair and it was beyond cute. The highlight of the entire evening, though, was Jungkook’s solo song, “Euphoria.” For that alone I’m glad that was in the audience. The choreographed version I’d seen before was beautiful but to hear Jungkook sing the song seated, just him and his voice filling the venue, so in the moment. It was magic. When he takes out his earpiece and just looks so happy to hear everybody singing along… that is what makes an idol concert. That moment felt like home. I don’t know when I’ll see BTS again. I’m tempted to visit my friend in Hong Kong for the 4 day extravaganza in March but I’m also waiting to see what may be announced for South America, as I have friends there as well. And, of course, I’m almost certainly going to try and make it to Seoul for the final shows of the tour. I love BTS and talking about BTS but I’m not going to lie, it will be a relief when BTS leaves the English-language media markets--and the markets that the English language media focuses on--and returns to the relative normalcy of the K-pop specialty press and East Asian media coverage. I would rather a million Japanese talk shows where BTS eats unusual foods and plays silly games in broken Japanese than have to deal one more faux-deep interview featuring an English language reporter making the incredible “discovery” that South Korea exists and there are people there who do things like make music in Korean. 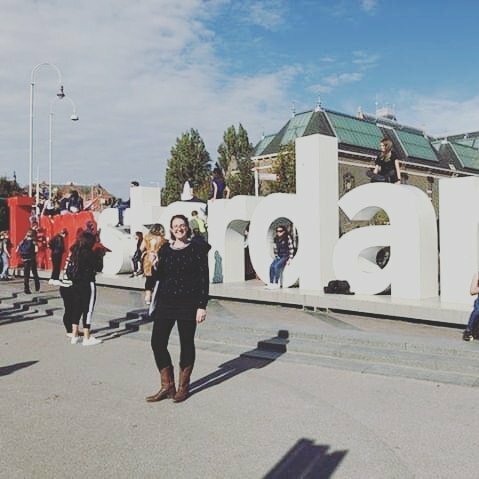 Bye-bye, Amsterdam!! I'll return for a football game or something soon.